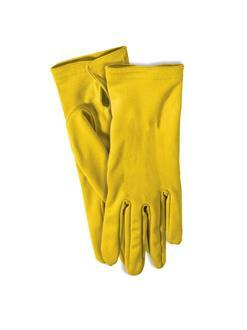 Brighten up your wardrobe with these wrist-length Adult Yellow Gloves with white button accents. Gloves are used to protect the hand but also as a fashion accessory. Wear these with a bumble or sunflower costume or just for fun.